The leader in innovative water play since 1989, the Nerf Super Soaker brand brings you the definitive water-blasting experience so you can drench with the best. With Super Soaker toys, kids of all ages can get together and head outdoors to unleash maximum soakage. 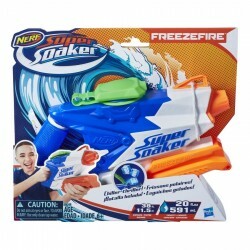 Now the Super Soaker Floodfire blaster unleashes hose-powered water-blasting play for unquenchable soaking fun! 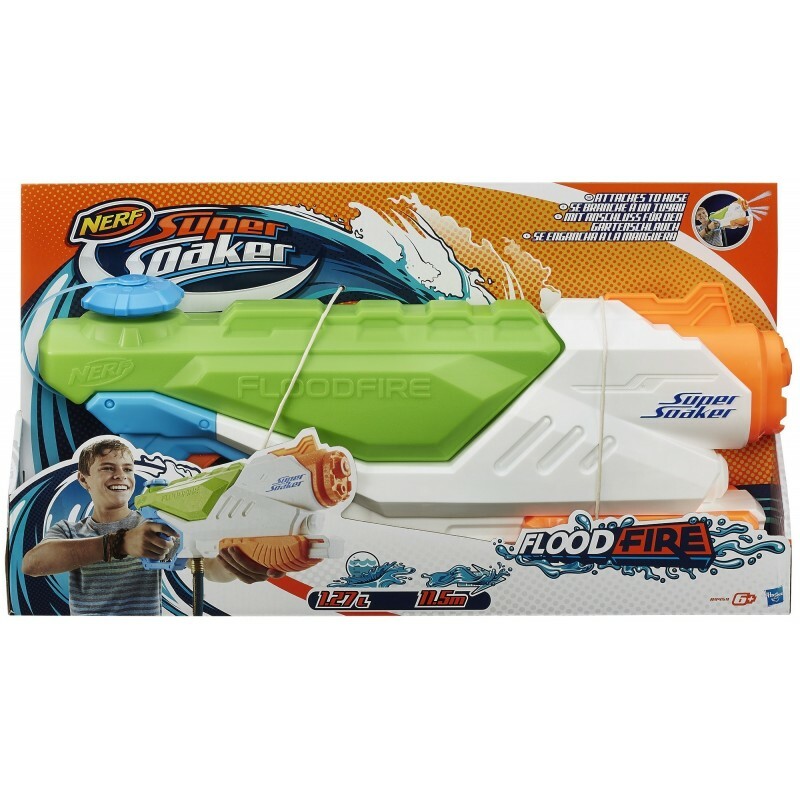 The Super Soaker Floodfire water blaster can give you the ultimate tactical advantage in almost any water battle. Make refilling your blaster a thing of the past; use the Floodfire blaster's quick and easy connection to attach it to your garden hose. With an unlimited source of soakage at your fingertips, you can send your opponents running for their towels and make sure the fun never runs dry! 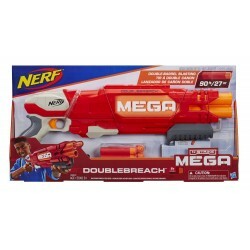 Nerf, Super Soaker, and all related terms are trademarks of Hasbro. When your water wars take you on the move, you need a blaster that has your back. No matter how far from home base you go, the Floodfire blaster is ready to continue the deluge. The moment you disconnect it from the hose, the Floodfire becomes a pump-to-fire blaster with a hefty 43-ounce (1.27 liter) capacity tank. Seek out and soak your friends, then refill or reattach your hose when the tank runs low and keep the Floodfire blaster soaking! The Floodfire blaster soaks targets up to an impressive 38 feet (11.5 meters) away. Whether connected to a hose for nonstop soakage or detached for a mobile attack, the Floodfire blaster gives you all the waterpower you need to keep the competition drenched. 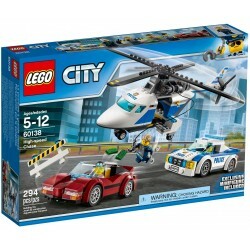 Includes Floodfire water blaster and instructions.